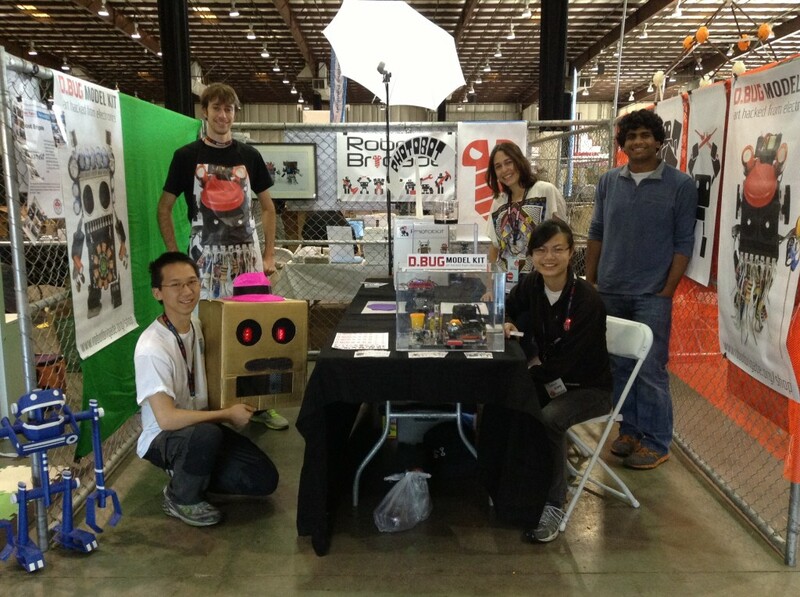 Maker Faire was amazing and exhausting at the same time. We worked at our booth in the Expo Hall the whole day, and ended up handing out more than 3,000 business cards for the D.Bug Model Kits!! Lots of people loved the D.Bugs and some even wanted to buy the apron (if you are one of them, contact us!). Here are some pictures from both days. 6:30 AM arrival on the first day. Got a great parking spot, woohoo! Here’s our booth before the crowd arrived in the morning. Sean and Melisa pose with the robot masks! 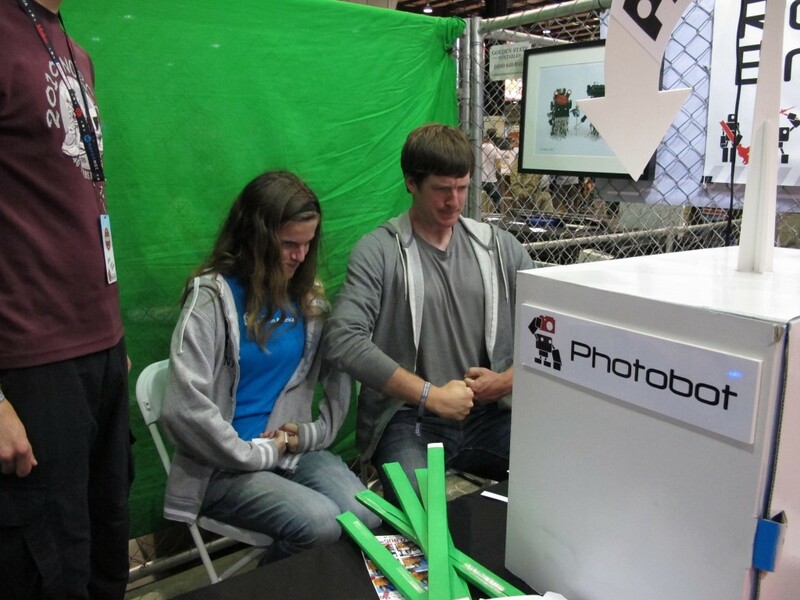 We demonstrated how the Cookie Bot works. 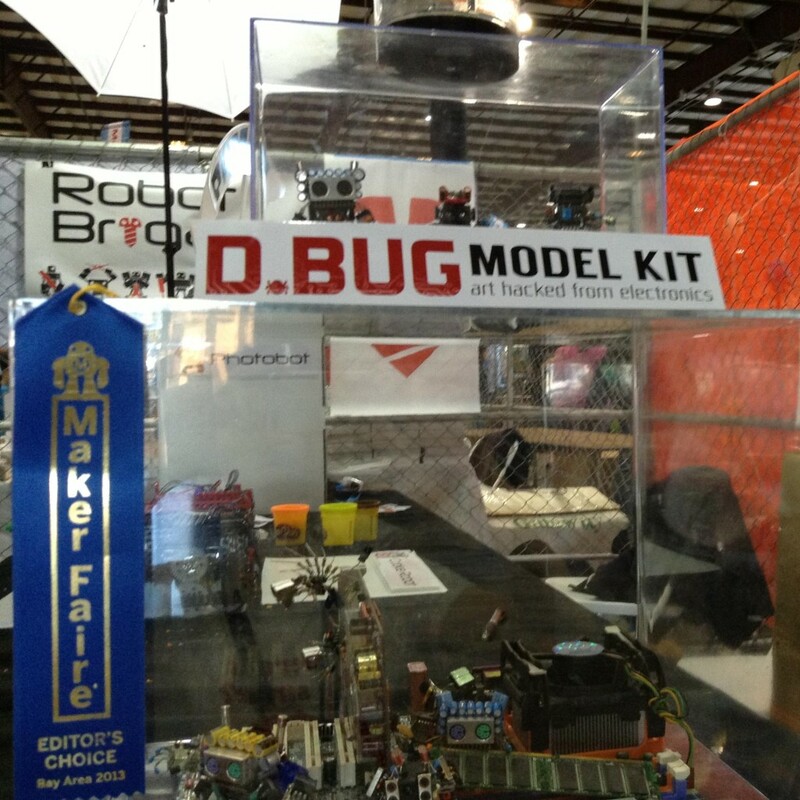 We even received Maker Faire Editor’s Choice award! Stayed tuned for a post on the most amusing Photo Bot pictures. 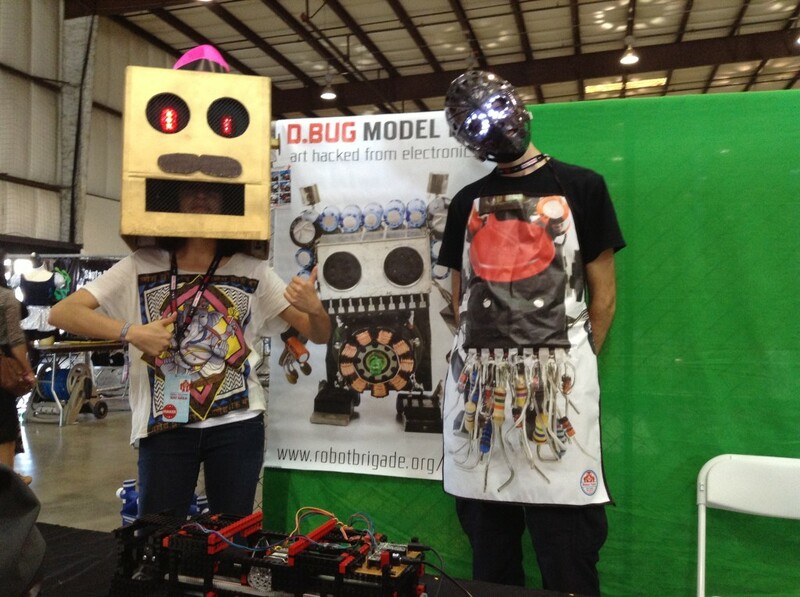 This entry was posted in Events and tagged Cookie Bot, D.Bug Model Kit, Photo Bot on May 21, 2013 by RobotBrigade. Cookie Bot is about half way complete. Mounting the stepper motors was non-trivial. 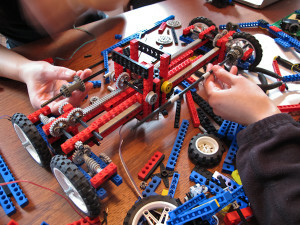 The motors are temporarily mounted into the chassis. 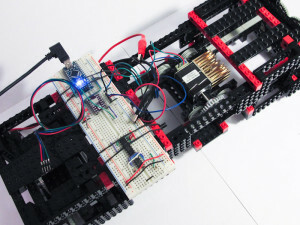 We didn’t know stepper motors could get hot enough to melt Legos! Heat sinks had to be added as a precautionary measure. 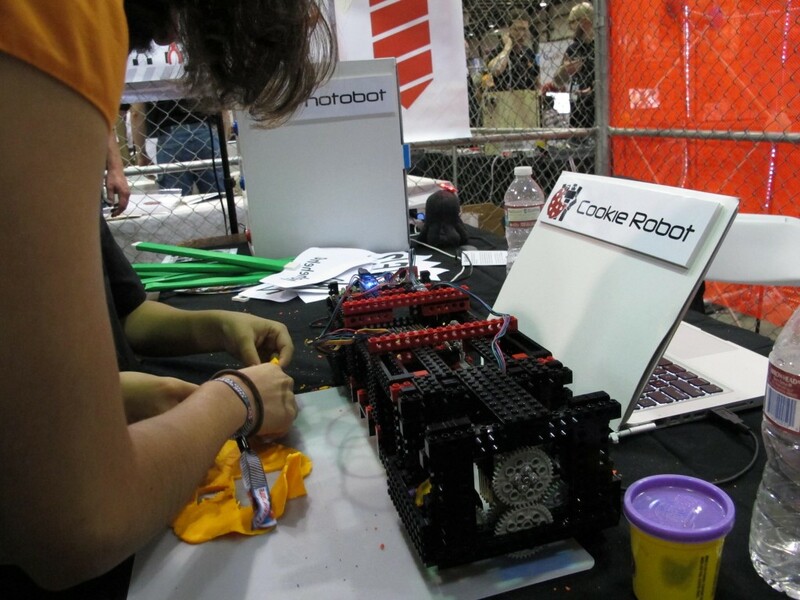 This entry was posted in Projects and tagged Cookie Bot on April 29, 2013 by RobotBrigade. 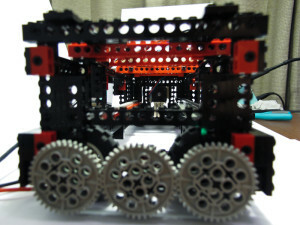 We made a new chassis for Cookie Bot Proto 2. Click on the image to check out the video! 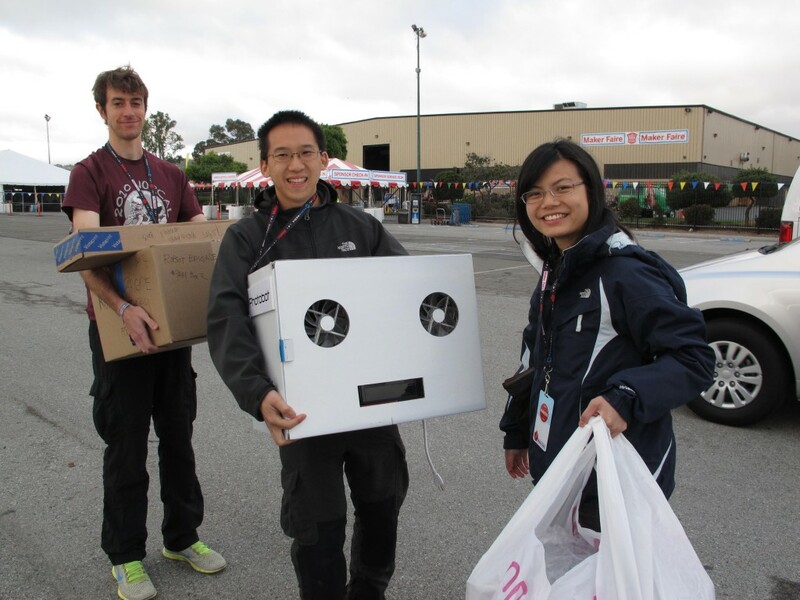 This entry was posted in Projects and tagged Cookie Bot on April 17, 2013 by RobotBrigade. 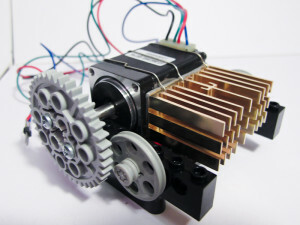 We weren’t satisfied with the DC motors – there’s too much gear chatter, not enough torque, and no precision control. So, we upgraded to stepper motors. 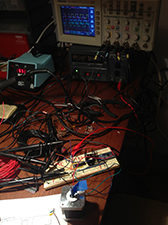 We built the stepper driver circuit with a current feedback loop, but the H-bridges were overheating. 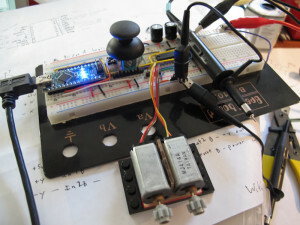 We finally decided to go with an off the shelf solution and bought some stepper driver boards. 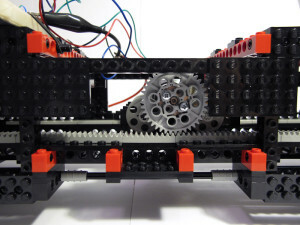 We will need to make a new prototype to fit the stepper motors on the chassis. 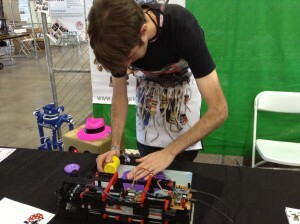 This entry was posted in Projects and tagged Cookie Bot on February 2, 2013 by RobotBrigade. 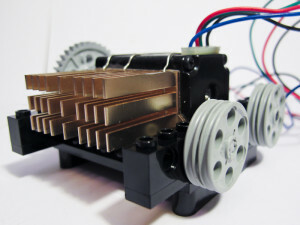 We have completed several stages of the Cookie Bot Proto 1. 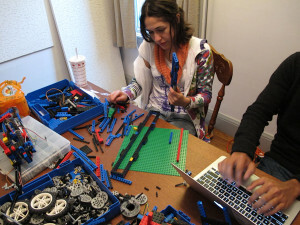 In the first iteration, Corinna built a car to ride along a pair of rails built by Melisa. Donald built a mini car to ride across a the car on a middle rail. The second iteration revised Corinna’s car. 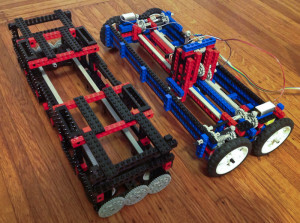 Gears and actuators were added to the car, and the mini car was built into the prototype. Sophie and Corinna worked on adding a differential gear system to drive the car. This requires the right and left sides of the car to be symmetric. 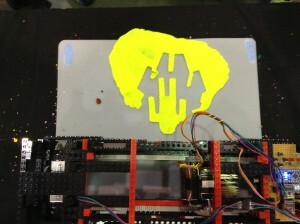 This entry was posted in Projects and tagged Cookie Bot on January 7, 2013 by RobotBrigade.